>CineKink alumni director Scott Bloom (CineKink ‘06 & ‘08) reports that a copy of his amazing documentary, Call Me Troy, was handed off to Michelle Obama during yesterday’s meet-up with LGBT community leaders. A profile of gay rights activist and founder of Metropolitan Community Churches, Rev. Troy Perry, the work is an important chronicle of the fight for sexual freedom and a moving tribute to a man who proclaimed that sexuality and religion – Christianity, even! – need not be separate. Here’s hoping the President makes time in his schedule for a screening and, inspired by Troy’s example, room in his heart to be a truly “fierce advocate” for LGBT rights. 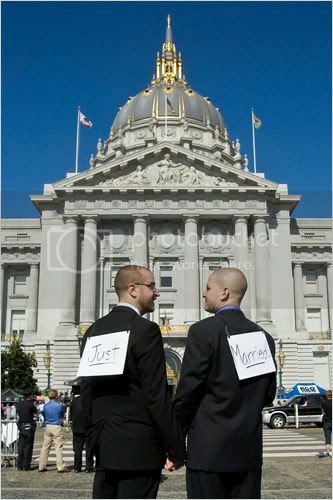 >More “do me,” less DOMA! >While it’s common belief that each letter received from a constituent represents at least 100 others who held that particular opinion, we’re unsure of the equivalency of a mailed flip flop. What is clear, however, is that in the month ahead, President Obama has the opportunity to stand aside and let a lawsuit against the Defense of Marriage Act move forward unchallenged. The decision must come down by June 29th, so whether you choose to send a flip flop–or perhaps a respectful-yet-compelling missive neatly written on a sheet of fine stationery–you have only a limited time to weigh in with your opinion.